For Spokane, winning 10 of their its 12 games meant it got home-ice advantage and showed it isn’t a team to overlook. The Winterhawks had ample opportunity to lock up home ice in the final week of the regular season and couldn’t get it done, losing twice in a row to the Seattle Thunderbirds to end the season. Portland also lost on March 9 in Prince George against the Cougars, who didn’t qualify for the playoffs. But these are the playoffs, when the intensity cranks up, the emotions sometimes spill over and the momentum can shift at any moment. Spokane and Portland played considerably better at home this season, so home-ice advantage isn’t something to ignore. Of course, that advantage could be gone with one loss on home ice. The Chiefs are the healthiest they’ve been all season, which gives them a big advantage. The Winterhawks entered the final week of the season with five players listed on the weekly injury report, with Cody Glass the most notable name. Glass, however, is expected to be ready in time for Game 1 on Friday. Getting Glass back gives Portland another offensive weapon. Joachim Blichfeld was tops in the Western Hockey League this season with 53 goals, 61 assists and 114 points. Glass was second on the team with 15 goals, 54 assists and 69 points, despite only playing in 38 games. He had 1.82 points per game, which led the team. Glass, the Las Vegas Golden Knights’ first-ever draft pick, will be a nice addition to the all-important center position. The Chiefs, meanwhile, should be feeling pretty good about their chances. They have a lineup with a number of weapons. Jaret Anderson-Dolan will be counted on to pick up right where he left off. Anderson-Dolan had a nine-game goal-scoring streak snapped in last Saturday’s 10-1 win over Tri-City. Veteran Riley Woods, who led the team in scoring this season with 29 goals, 46 assists and 75 points, will also be counted on. The Chiefs have a number of complementary pieces in Eli Zummack, Luc Smith, Jake McGrew and rookie Adam Beckman, who led the team in goals with 32. On the back end, Ty Smith will lead the Spokane defense. Smith and his defensive partner Noah King have played top pairing minutes since King was acquired in a trade in December. Filip Kral and 20-year-old Nolan Reid make up the second pairing and give Spokane some nice depth on defense. Depth is key in the playoffs. Chiefs head coach Dan Lambert admitted last Saturday that the team’s fourth line the last week of the season of Ethan McIndoe, Jack Finley and Cordel Larson was perhaps the team’s best. In net, Spokane will put its faith in Bailey Brkin, who also started last season’s playoff series against Portland before giving way to Dawson Weatherill. If Brkin falters, the Chiefs have a capable backup in Reece Klassen, who stepped in nicely this season after being acquired in January. Klassen has won four of his past five starts in net. Portland’s goaltending situation is a little more fluid. Shane Farkas and Joel Hofer have identical .906 save percentages this season, although Farkas has a lower goals-against average by 1.01 goals (2.71 vs. 3.72). Portland won 30 times with Farkas starting in net. The Chiefs had the league’s top power play during the regular season, scoring 29.1 percent of the time. The Chiefs’ penalty kill was among the middle of the league, so improving that part of their game will be important against the Winterhawks, who were sixth in the league on the power play. This marks Portland’s 10th straight season in the playoffs. Only once in the previous nine seasons did the Winterhawks fall in the first round (2016). 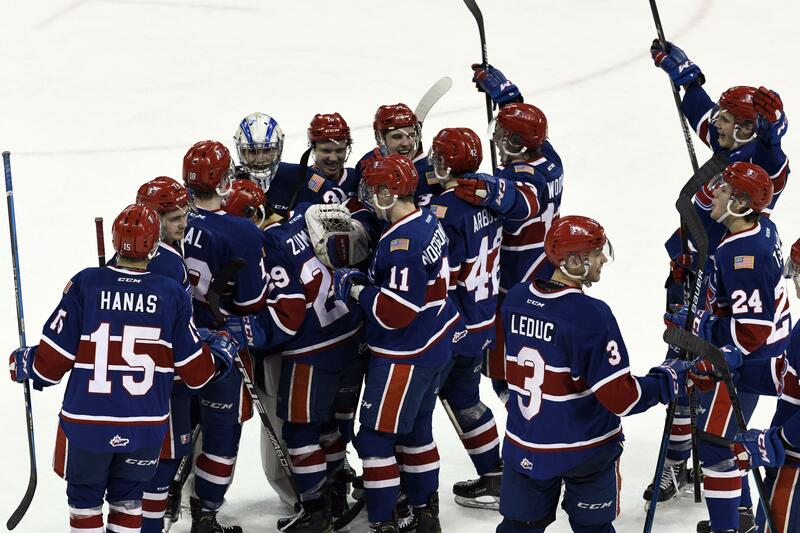 Spokane is in the playoffs for the second year in a row after missing in 2017. The Chiefs haven’t been past the first round since 2013, when they bowed out in the second round. The Chiefs will try to stop that trend. Published: March 21, 2019, 7:51 p.m. Updated: March 21, 2019, 8:20 p.m.